Photos courtesy of Helix Subsea Construction Field Engineers Robert Bailey & Matt Gonzales. Taken on board Helix ESG’s pipelay vessel, Express, these photos show two Pipeline End Terminal manifolds (PLETS) as they are hoisted off an adjacent supply boat and lowered down to the seabed. A PLET is used on one, or both ends of pipelines to provide connection point from the pipeline to existing subsea structures in place. The existing structure may be a subsea tree, another PLET or a manifold and are connected by a jumper. The PLETs and other subsea structures have upward looking connectors while the jumpers have downward looking connectors. This configuration allows the jumpers to be installed using Remotely Operated Vehicles (ROVs). Helix Subsea Construction, a business unit of Helix ESG, is installing this PLET as part of the overall scope of Subsea Umbilical, Riser and Flowline (SURF) work for Noble Energy at the Noa Field, offshore Israel. The field is in approximately 2,556ft of water (779m) and is being developed for natural gas. Source: PHOTOS: Express installing subsea manifolds « Helix Currents. 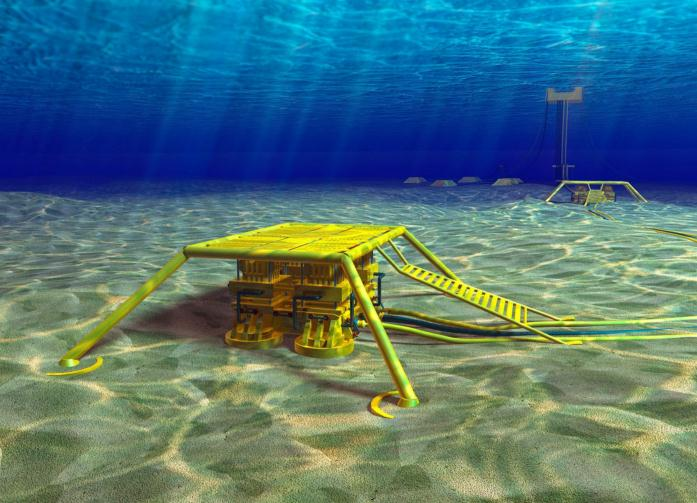 Subsea 7 S.A. announced the award of a SURF contract valued at approximately $100 million from Suncor Energy on the Terra Nova Field, situated 350km south east of St John’s, Newfoundland, offshore Canada. The contract scope includes the management, engineering and installation of nine 300 metre replacement risers and associated flowlines, jumpers and tie-ins. Engineering and project management will commence immediately at Subsea 7’s St John’s office, with offshore operations due to commence in summer 2012 utilising Subsea 7’s world-class construction and diving vessels. Oil and gas will remain the backbone of the world’s energy supplies for a long time to come, and the offshore sector continues to expand in every direction, in particular, toward deeper water and harsher environments. According to Douglas Westwood’s ”World Deepwater Market Report 2011-2015,” the capital expenditure (CAPEX) index forecasts annual growth rates for the deepwater sector of over 20%. All aspects of the deepwater market are contributing to this figure, with a share of about 40% for pipelines, subsea production and processing, and other SURF (Subsea, Umbilical, Riser, Flowline) activities. About 6 months ago, GustoMSC unveiled the new Constructor class of vessels, which were specifically designed to accommodate present and future requirements of the offshore oil & gas construction and SURF market for large offshore vessels. SURF vessels have to be able to work in deep water for prolonged periods, have short mobilization times, and also have the potential for future upgrades to operate in specific areas or conditions. The increasing water depth is for instance driving the requirements for crane capacities. The remoteness of operating areas requires vessels to be more self-supporting, have a larger payload and be increasingly efficient. Harsher conditions are one driver for improved power generation. The need for short mobilization times is driving the design of the hull for higher speeds. All future SURF vessels will need to optimally combine these features if they are to be acceptably cost-effective. The vessels can be provided with various mission equipment systems, such as pipelay systems (S- or J-lay), reel-lay systems, flex-lay systems or be equipped as deepwater installation and cable lay. Mission equipment can be installed to operate either through a moonpool or over the stern or over the side. The vessels size and capabilities are most unique and unmatched in the market: 2800sqm of aft deck, 10,000 metric ton payload to play with, capability to install a 600 metric ton subsea crane, as well as sea keeping and dynamic positioning capability in harsh conditions. He also comments saying that an even larger version, the SURF XL, is currently being developed for operators working in the most demanding regions around the world. This new vessel will combine reel and J-lay capabilities and have a 1,000 ton heave compensated subsea installation crane and a deep water lowering system. As an option, all of these vessels can be designed with DNV – Ice Class notation. Their main dimensions are 155 x 30 x 13m (Loa x B x D), (DLV3000 version: 170 x 42 x 12m). The largest vessel in the Constructor class is a real workhorse, designed to serve a wide range of roles in the construction market. The deepwater S-lay system with removable stinger and versatile 3,000t main crane with heave compensation makes the vessel suitable for deepwater installation roles. The optional mooring system allows the vessel to perform shallow water operations in close vicinity to platforms. The offset crane position provides the vessel with an unmatched effective outreach over the side and over the stern. The A-deck arrangement provides a flush and unobstructed working deck with sufficient space for modules, jackets, piles and all kinds of (subsea) equipment. An active ballast system will be installed to reduce heeling angles during lifting operations. Additionally the vessel will be capable of pipelaying by means of a fully covered single joint pipelay factory (Double joint in a lengthened version). The vessel takes a vast amount of products in its below deck carousels and has been provided with a 550 MT Vertical Lay System positioned over a moon pool in the mid ships. Ample crane capacity will be provided in order to service subsea operations as well as the deck and moon pool area. The vessel can be provided with various mission equipment systems, such as pipelay systems (S- or J-lay), reel-lay systems, flex-lay systems or be equipped for various other missions, such as deepwater installation and cable lay. Mission equipment can be installed to operate either through a moonpool (option) or over the stern. Ample crane capacity can be provided in order to service subsea operations as well as the deck and moon pool area. The vessel has been provided with a Single joint S-lay pipelay system located under deck, with a fixed (removable) stinger. The vessel provides a stable platform for lifting operations and high crane capacity can be provided in order to service subsea installation operations as well as other construction activities. The vessel takes a vast amount of products in its carousels. An A-frame can be provided for launching and retrieving ploughs and trenchers. In order to provide the necessary flexibility for crossover work into the offshore construction market the vessel allows for ample crane capacity as well as a large open deck area. Introducing the Constructor-Class from GustoMSC | gCaptain – Maritime & Offshore. EMAS AMC, has been awarded a SURF (Subsea, Umbilical, Risers and Flowlines) contract for marine installation and pipe lay from Statoil valued at approximately US$55 million. 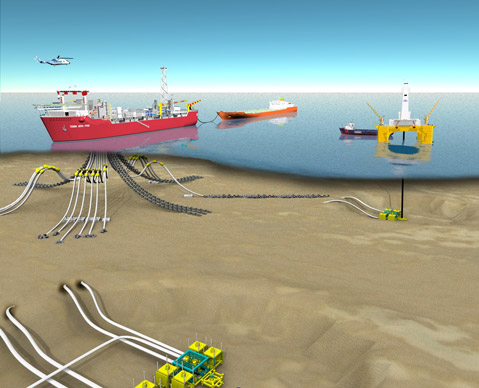 The subsea development, Fram H-Nord, is situated in the Troll C/Fram area in the northern part of the North Sea. “We are very pleased to be awarded this contract from Statoil as it’s a major milestone for EMAS AMC. This demonstrates our abilities as an EPIC SURF player, and our capability for delivering complex projects,” says Svein Haug Regional Head for EMAS AMC (Europe and Africa). The Fram H Nord subsea development is the third phase of the development of the Fram Field which is tied back to the Troll C Platform. Fram H-Nord will be developed with one satellite well tied back to the existing infrastructure at Fram Vest A2 template via twin flowlines and a control and service umbilical. Fram H Nord and Fram Vest A2 templates. Engineering, procurement and planning activities will commence immediately, and the offshore work is scheduled to commence in the third quarter of 2013. Vessels from EMAS AMCs modern construction fleet will be utilized. The contract will be managed out of EMAS AMC’s Oslo office. 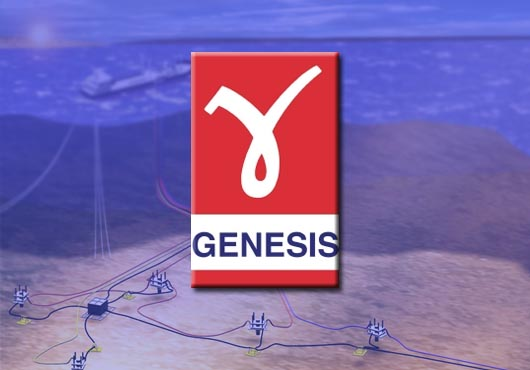 Genesis has been awarded an Enterprise Framework Agreement by Shell Global Solutions International B.V., covering Subsea Umbilical Risers and Flowlines (SURF), Engineering and Project Management Services. The contract duration is 5 years, with the option to extend for an additional 5 years and will cover the supply of services to support all of Shell’s SURF projects on a worldwide basis. The contract will focus on Shell’s activities in the Gulf of Mexico and Brazil and will initially be managed from the Genesis office in Houston, Texas. Genesis is a market-leading engineering company focused on providing engineering and technical services to the global upstream oil and gas industry. The company’s services are utilised by oil and gas companies during its planning and development phase of oil and gas projects and in the execution of subsea onshore and offshore engineering projects. Its clientele includes super-majors and national oil companies, as well as small independents.